PTI: Six women sustained injuries when the police fired tear gas shells and smoke bombs at a marketplace here to disperse protesters, who had enforced a road blockade in the city demanding immediate withdrawal of the citizenship bill. Shantidevi, the president of a women’s association at Khwairamband market, said police used force to disperse the agitators, who had been protesting peacefully. “The security officers fired tear gas shells and smoke bombs, which left six women injured. The situation turned uglier when they tried to take one of the injured women into custody and the agitators had to thwart the attempt,” Shantidevi explained. 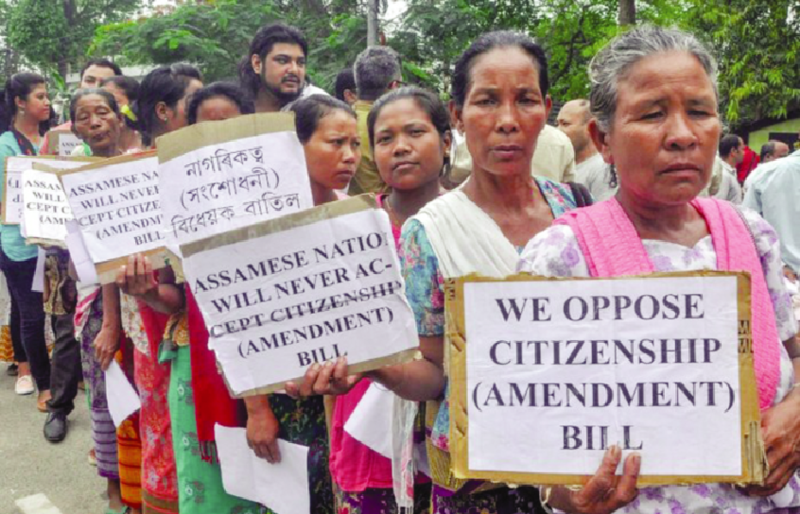 Criticising the use of “excessive force”, Y Dillipkumar, the convenor of Manipur Peoples Against Citizenship Amendment Bill (MANPAC), said the women were “protesting in a democratic manner”. Manipur Chief Minister N Biren Singh had earlier said that the BJP-led government in the state would not support the passage of the Citizenship (Amendment) Bill unless there was a provision to protect the people of the northeast. Meanwhile, security has been beefed up across Imphal Monday in the wake of agitation. The Citizenship (Amendment) Bill, passed by Lok Sabha on January 8, seeks to grant nationality to non-Muslims who fled religious persecution from Bangladesh, Pakistan and Afghanistan, and entered India before December 31, 2014. Protests against the bill have rocked the entire northeast over the past six weeks, with several organisations and political parties claiming that the bill threatens the identity, language and culture of indigenous people.